Reykjavik, Iceland – One of the most expensive capital and city in the world. We had a taste of the high cost of living during our summer trip to Iceland this year, the country with no McDonald’s and Starbucks in today’s globalisation context. A latte is typically between 600-700 Kroners, while a meal at a casual restaurant typically costs around 2,500-3,000 Kroners. The below are some of the more sane dining options in Reykjavik if you are budget conscious and have a few days to spend in this city before your epic road trip. 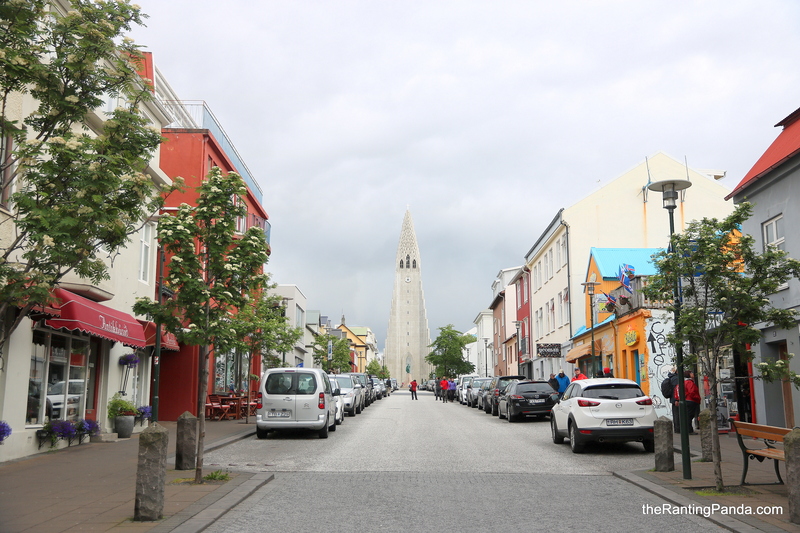 If you are looking for a causal and reasonably priced restaurant in Reykjavik, Icelandic Fish & Chips is a fairly popular tourist option which serves different types of fish & chips. While the standard of the food is really nothing to shout about, it is a decent restaurant for a quick dinner fix without exorbitant prices. There aren’t many cafes in the heart of Reykjavik with Reykjavik Roasters being one of the more prominent one located close to the church (check name). The coffee is decent, not as strong as the ones in Australia or U.K., and per Iceland standards, one of the most expensive latte we have paid for. Right down the same street from Reykjavik Roasters is Brauð & Co., an extremely small local bakery which makes their own bread behind an open glass kitchen. There are various fruit flavours to choose from for the loafs of bread other than croissants. A good place to stock up on some good bread before your road trip. A cafe concept linked to the neighbouring Sandholt Hotel, Sandholt is easily one of the best cafe we came across in our Iceland trip. We were greeted by the vast range of pastries and desserts upon entering the scandi-chic cafe, which also boasts a good variety on its breakfast menu. Spacious and cosy, we visited Sandholt twice in our trip for breakfast. I find it unbelievable that hotdog is almost like a national dish status in Iceland, so making a pitstop to one of the most popular hotdog stand in Reykjavik was one of my priorities. Bæjarins Beztu Pylsur is a nondescript hotdog stand, made famous by the visit of Bill Clinton when he was in the capital years ago. The unique difference of Icelandic hotdog is that it contains Icelandic lamb, beef and pork all mixed together, served along with condiments like crispy fried onions, ketchup and mustard sauce. I enjoyed the fried onions condiment bits, though to proclaim it the best hotdog in the world is too much of an overstatement. The lack of international brands in Iceland is a surprise, but we were glad to stumble upon Te & Kaffi (which means Tea & Coffee), a local coffee chain with various outlets across the capital. The coffee is very decent and punchy, including the chocolate drinks and delectable selection of pastries and tarts.